Not only is Edinburgh the capital of Scotland, but it is also the leading festival city in the world! It is home to phenomenal summer festivals and a UNESCO World Heritage Site.Wherever you look, the city buzzes with a sense of excitement all year round! Edinburgh is draped across a series of rocky hills overlooking the sea. It is packed with medieval tenements, the Old Town and the sweeping elegance of the Georgian New Town. Explore history for different centuries including the 17th century at the Royal Mile Palace of Holyroodhouse and the prehistoric extinct volcano of Arthur’s Seat. If history isn’t your thing, you can enjoy a range of activities including; fantastic shopping, top-class dining, a great bar and cafe culture, a vibrant night life and much more! Edinburgh’s Royal Mile is the heart of Scotland’s historic capital. The Royal Mile runs through the heart of Edinburgh’s Old Town, connecting the magnificent Edinburgh Castle, perched high on a base of volcanic rock, with the splendorous Palace of Holyroodhouse. The Royal Mile offers so much to see and do between the amazing attractions, historical sites and great eating and drinking spots. Edinburgh Castle: Edinburgh Castle is a world famous icon of Scotland and part of the Old and New Towns of Edinburgh’s World Heritage Site. The Edinburgh Castle is the most famous of Scottish castles. It has a complex building history with parts dating back to the 12th century. 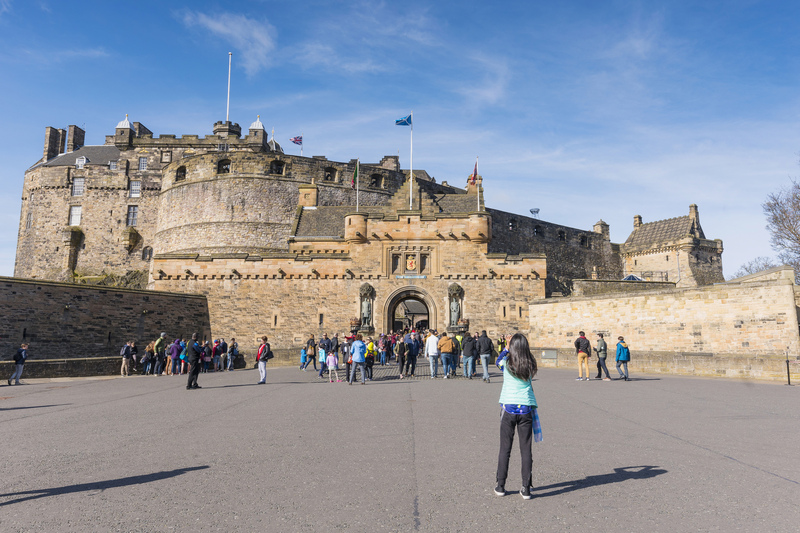 The Edinburgh Castle offers guided tours and has audio tours that explain the architecture and dramatic history. Scotch Whisky Experience: The Scotch Whisky Experience is a five start visitor attraction at the top of Edinburgh’s Royal Mile. There are many different ways to get the experience including a tour, visiting the shop or restaurant and enjoying an event. Indulge in a wonderful tasting or bending session to get a true whisky experience. You can also participate in a renowned one-day Scotch Whisky Training School. The Whisky Collection is comprised of 3,384 bottles of Scotch Whisky. This connection has a wide range of whisky from the most accessible to the rarest bottles. The Palace of Holyroodhouse: The Palace of Holyroodhouse is the Queen’s official residence in Scotland and is the home of Scottish royal history. 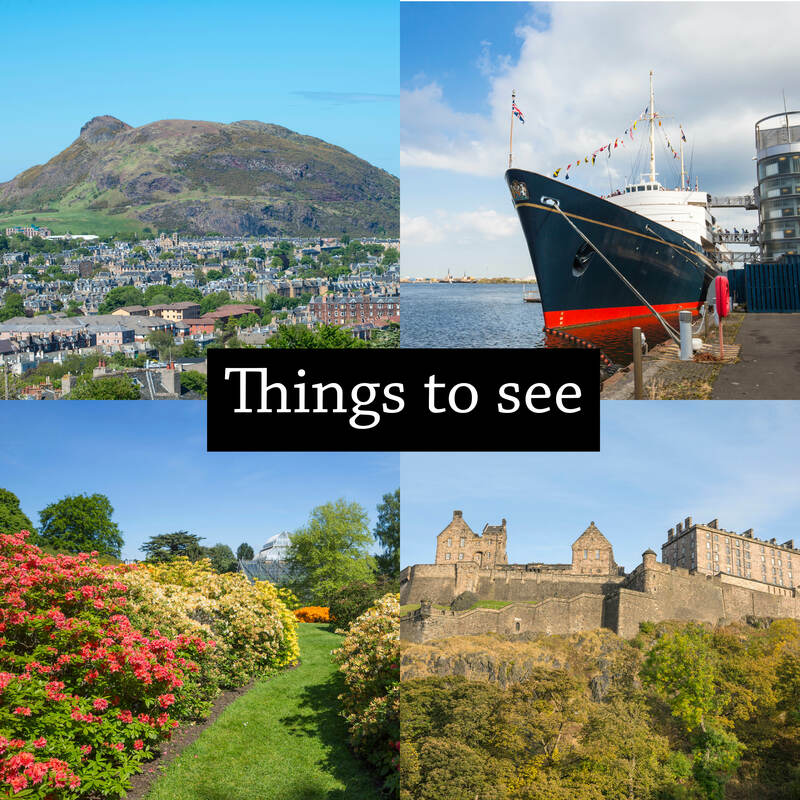 At the palace, visitors can explore 14 magnificent historic and State Apartments, the romantic ruins of 12th-century Holyrood Abbey and the remarkable royal gardens. Royal Botanic Garden: The Royal Botanic Garden spreads 72 acres that offers visitors peace and tranquility among the stunning scenery. It is one of the finest botanic gardens in the world which offers magnificent views of the Edinburgh skyline. Visitors discover the fascinating history and learn about the plants while walking around the beautiful landscape. A highlight is the Garden’s 10 Glasshouses that each have a different climatic zone and are home to 3,000 exotic plants from around the world. Royal Yacht Britannia: The Royal Yacht Britannia was home to The Queen and the Royal Family for over 40 years, sailing over 1,000,000 miles around the world. It is now in Edinburgh, where you can follow in the footsteps of royalty to discover the heart and soul of this most special of Royal residences. Before boarding the ship, learn about the history of Royal Yachts and view historical photographs of Britannia’s fascinating past. Once boarding the ship, an audio handset tour covers the five main decks including the Bridge, State Apartments, Crew’s Quarter and the Engine Room. Arthur's Seat: Arthur’s Seat is the main peak of the group of hills in Edinburgh which form Holyrood Park. Arthur’s Seat is an ancient volcano that sits 251m above sea level giving excellent views of the city. It dates back from 2,000 years and has a diverse range of flora and geology to explore. 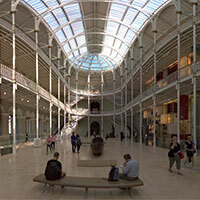 National Museum of Scotland: The National Museum of Scotland offers diverse collections which will take you on a journey through the history of Scotland and around the world. Take in the wonders of nature, art, design and fashion through the different galleries. There are 16 galleries that include 8,000 objects, 80% of which were not formerly on display. Notable exhibits include Dolly the Sheep, Ancient Egyptian exhibits and Elton John’s extravagant suits. Edinburgh Bus Tour: Learn about the city by taking the hop on - hop off bus around. You will discover the best of Edinburgh and have the ability to explore many different attractions. The bus offers multi-lingual commentary and a specially trained English speaking guide. The bus is perfect for history enthusiast, families or just people looking see the city.